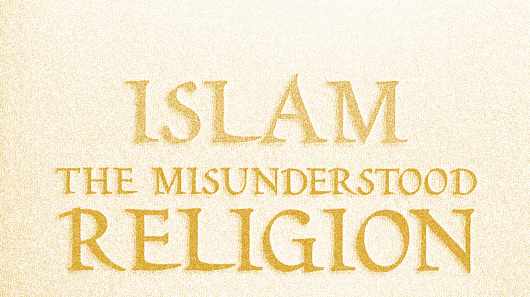 Oft-repeated claims by critics spout that Islam allows lying in ‘all circumstances’. They further say that Islam allows their followers to lie to take advantage of non-believers and infiltrate high governmental positions. These claims are false. When I read these comments in some of the websites, I didn’t know whether to laugh or feel sorry for the gullible folks who believe such rubbish. In actual reality, when we examine all these Quranic verses and Hadiths, in none of them is there any mention that one is allowed to lie to non-Muslims.. Nor is there any mention or indication that a Muslim is allowed to take advantage of disbelievers – these are claims made by crazy deluded Islamophobes who have no support from the Quran or Hadith. Lying in order to advance one’s faith is not an Islamic doctrine and has never been. I challenge anyone to bring one proof from the Quran or Hadith where it says that ‘one can use deception to advance Islam.’ You won’t find it. However, such doctrine, to advance one’s faith by lying is found and sanctioned in the Bible. Apostle Paul sanctions lying in order to advance Christianity. Paul admits in Corinthians 9:19-23 that during his ministry, preaching his Paulinism (Christianity of today), that he falsely acted in order to draw people to Christianity. Click on the following article here. I have provided some of the early Church fathers’ commentaries on the verse (Corinthians 9:19-23), in agreement that the verse allows deception in them circumstances, to advance Christianity. 3. In war, to get the upper hand against the enemy. 5. To make someone escape torture from a tyrant, to avoid handing over an innocent person to an oppressor. 2. Qur’an 3:28 – Not To Take Non-Believers As Friends? 7. Qur’an 3:54 – ‘Allah Is A Deceiver’? Also check out the following link on ‘Taqiyya’ which is been hurled at by Islamophobes that all Muslims follow this doctrine. However, as I have demonstrated from Muslim and non-Muslim academics, they all agree that this doctrine (Taqiyya, Takiya) is only endorsed by the Shia, which make up 15 to 20% of the World’s Muslim population. The rest, 80% of the World’s Muslims, who are Sunni, have never had such doctrine or endorsed such: Click here for the article – ‘Taqiyya’ (Takiya) Meaning. The sect called the Rawafidh (part of the shia movement) attaches such great importance to the practice of ‘Taqiyya’ (lying in religious matters) that a renowned proverb amongst them is that the person who does not practise Taqiya has no belief (Iman). They quote in their support the above verse, ‘unless you have to safeguard yourselves from enemies.’ At the outset it should be understood why they resorted to this practice. The Jews taught these people a Din (religion) other than that brought by the Holy Prophet and impressed on their minds that Sayyidina Ali… was supposed to be the immediate leader after the Holy Prophet… They were told that the other Caliphs (Kalifas) viz. Sayyidina Abu Bakr… Sayyidina Umar… and Sayyidina Uthman… unsurped the Caliphate (Khilafah) from him. However, true Muslims ask them the reason why Sayyidina Ali remained silent about the matter for 26 years, not once laying claim to his right? Why did he, during this entire period, even participate in their meetings and fight with in Jihad? Why did he join them in all their Jumu’ah, Eid and daily Salah? In reply to all of this they have been taught by their tutors (the Jews) to say that Sayyidina Ali… was practising Taqiya. This practice of ‘taqiya’ is such a weapon that the enemies have placed in their hands that they regard it as being fundamental f Din (religion) and use it in every defence. When they deliberately say many things that contradict their beliefs, they actually feel that they are doing an act of virtue. How vast is the difference between their cowardly practice of ‘Taqiya’ and the outstanding courageousness of Sayyidina Ali whom they claim to follow! As I have responded to the claims made against Islam on lying, I do not need to go over it again. Rather, I will quote Quranic verses and Hadith where it clearly states that lying is forbidden, should be avoided in all circumstances and is a major sin. The following, God and Prophet Mohammad (p) speak on the importance of being truthful in all circumstances. And a person who lies is hated in the sight of Allah. In short, telling the truth is virtuous and leads one to Paradise. The Prophet (p) guaranteed paradise to anyone if they can avoid lying even when joking. « Ka’b bin Al-Ashraf’s Killing, Deception – Was The Prophet (p) Annoyed?